Guide price 325,000 - 350,000. 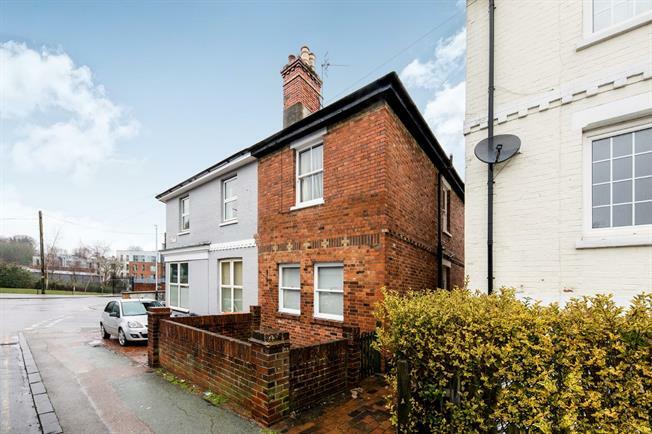 Freeman Forman are delighted to present this three double bedroom semi detached Townhouse, located on the edge of the Hilbert & Grosvenor Park, within reach of the Mainline Railway Stations, the vibrant Camden Road and The Town Centre. The property does require some modernising, however offers enormous potential for buyers to update the property to their personal taste. The versatile accommodation is arranged over three floors, the ground floor accommodation includes an entrance hall, sitting room with fireplace and a double bedroom. Stairs go down to the lower lower ground floor level where a kitchen breakfast room, bathroom and dining room are all located. The first floor accommodation includes two further double bedrooms and a WC. The property enjoys a gas central heating system and sash windows throughout the accommodation. Outside the property benefits from a small but private courtyard garden. An internal viewing comes recommended so that buyers can really appreciate the potential that the property offers.